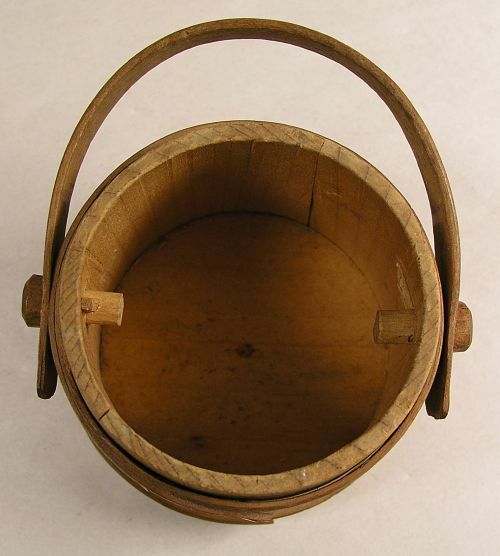 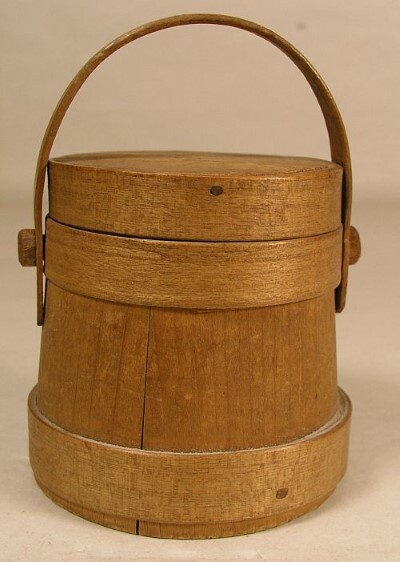 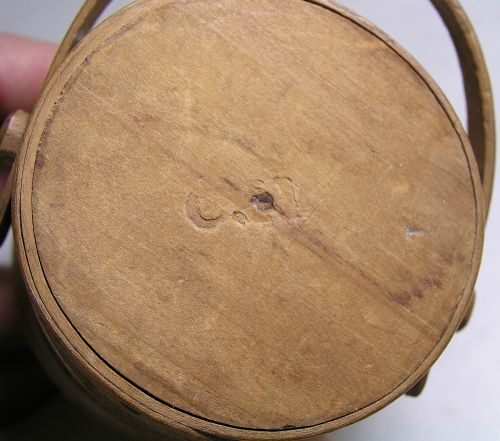 Miniature covered firkin marked on lid CH. 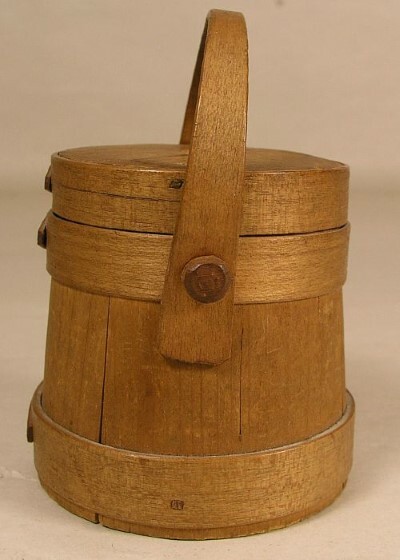 Made by Cotton Hersey ( 1792-1881) Hingham Mass. 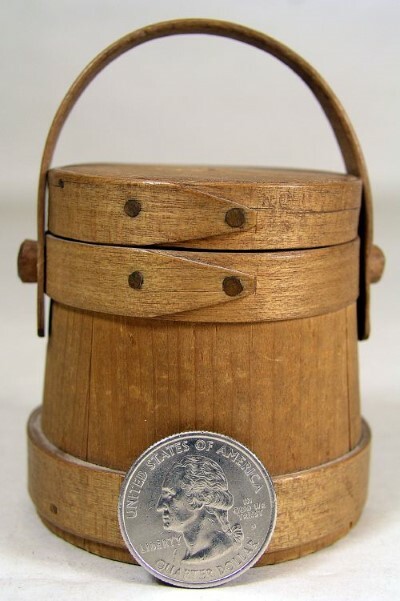 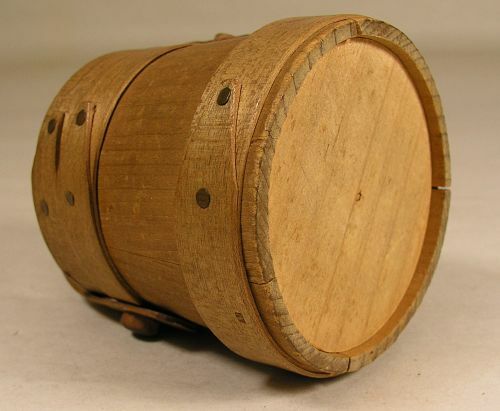 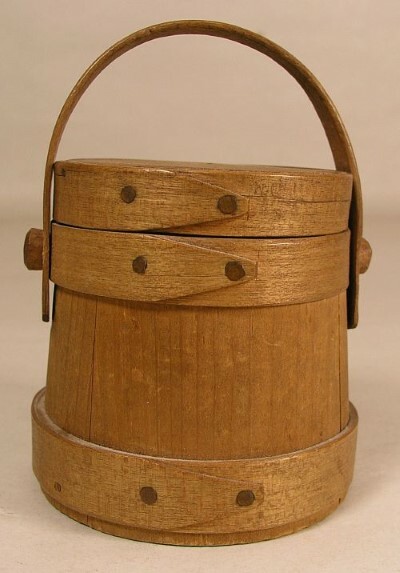 Cotton Hersey was an early Massachusetts toy and bucket manufacturer. 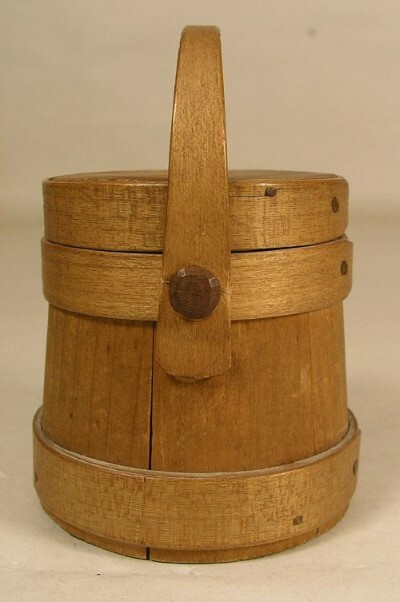 Dimensions: Measures 2 3/8" tall not including handle.